Everybody loves Atari, but with all of the super-high-tech games out now it might be hard to find time for those classics from the 80s. 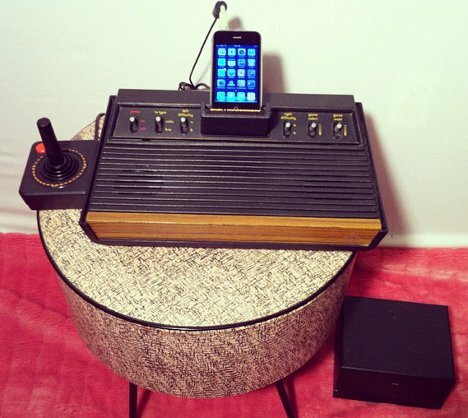 Etsy seller and audio tinkerer Daniel McLeod built this rad iPhone dock out of an Atari 2600 console that was originally built in November 1980. 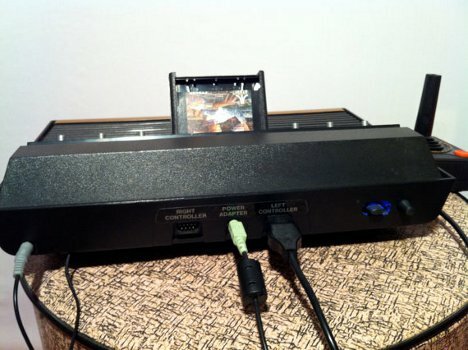 The subwoofer couldn’t fit inside the console, so it became an external part of the setup. 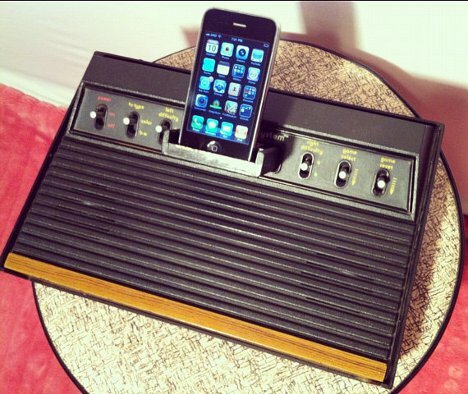 Computer speakers and an iPhone dock were stuffed into the Atari’s carcass and a 3.5mm jack was added onto the back for plugging in media players. You can still plug controllers into the appropriate jacks, but obviously the console is non-operational as a video game. It’s pretty reasonably priced at $100 and would probably make the perfect gift for your favorite 8-bit enthusiast. See more in Audio & TV or under Gadgets. January, 2012.